By the beginning of 2007 the smartphone wars were entering a new phase, ushered in by the original Apple iPhone announced in January. Nokia had its own idea of what should go into a phone, but for some frustrating reason you couldn't have it all in one device. The Nokia E90 Communicator continued this frustrating tradition. The latest (and indeed last) in the long line of Communicator devices, the E90 was a brick-like beast that was a bit of a monster when it came to specifications. Outwardly, the E90 looked like an old-fashioned brick phone. Measuring 132 x 57 x 20mm and weighing a stonking 210 grams, it looked like a relic from the past. 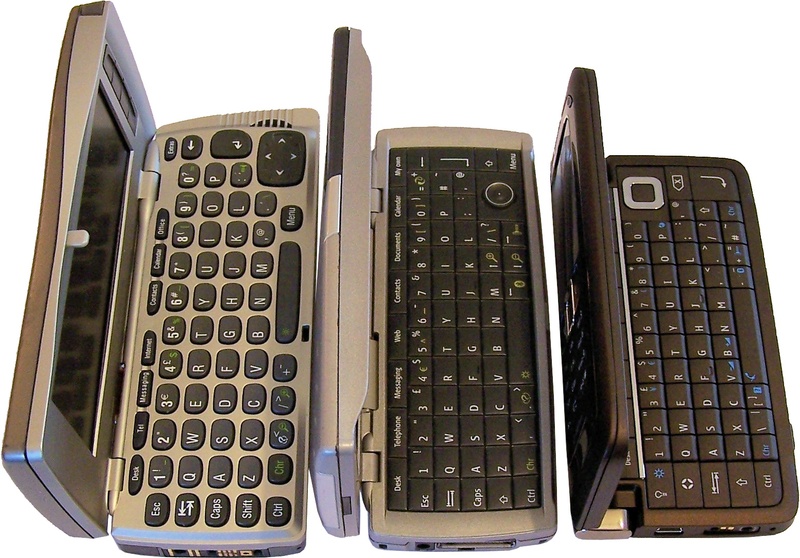 But as will all Communicator devices, it opened up to reveal a big screen and full QWERTY keyboard hidden inside. The 4.0" 800 x 352 pixel display thrashed most of the competition when it came to both size and resolution, and the E90's feature list was impressively long including 3.5G support, WiFi, GPS, FM radio, expandable memory, a 3.2 megapixel primary camera and this all ran on Nokia's massively popular S60 platform. Starting in 1996 with the Nokia 9000 Communicator, it was followed in 1999 by the 9110, then the 9210 in 2000, 9210i in 2002, the 9500 and 9300 in 2004 and the 9300i in 2005. Despite their aspirations, these Communicators were also deeply flawed. The E90 was the first handset in the range to support 3G (despite it being common in smartphones for 5 years), and it took until 2004's 9500 until any type of cellular data (in this case GPRS) was supported. Frustratingly, the E90 didn't have a touchscreen display either. The E90 also upset fans by ditching the capable Series 80 version of Symbian found in previous models and replacing it with Symbian S60 which was found in every other Nokia smartphone. 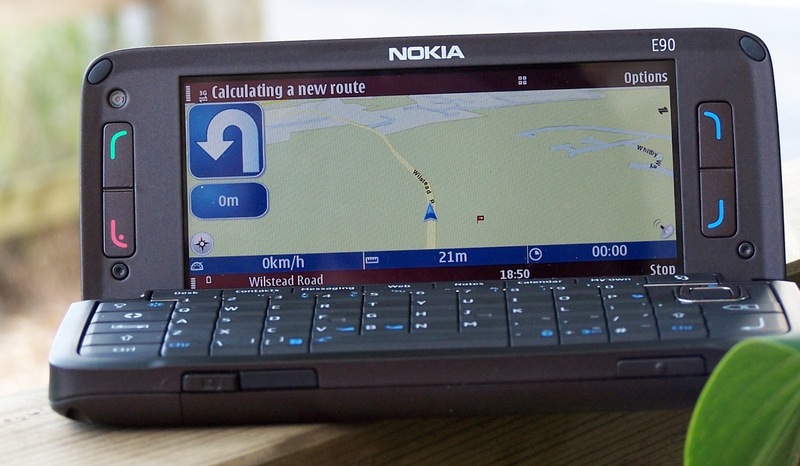 Although this brought the E90 into line with other Nokias, it wasn't quite as suited to this type of devices as the older OS. Despite its potential brilliance, the E90 also underlined the flaw in Nokia's strategy. Their consumer smartphone was the brilliant N95, but if you wanted to actually type stuff and work with documents then the E90 was the offering you wanted. Each different smartphone product (and there were many) catered for a particular niche. Apple didn't bother with that approach... one single device was designed to do absolutely everything, and of course it was this approach that prevailed. 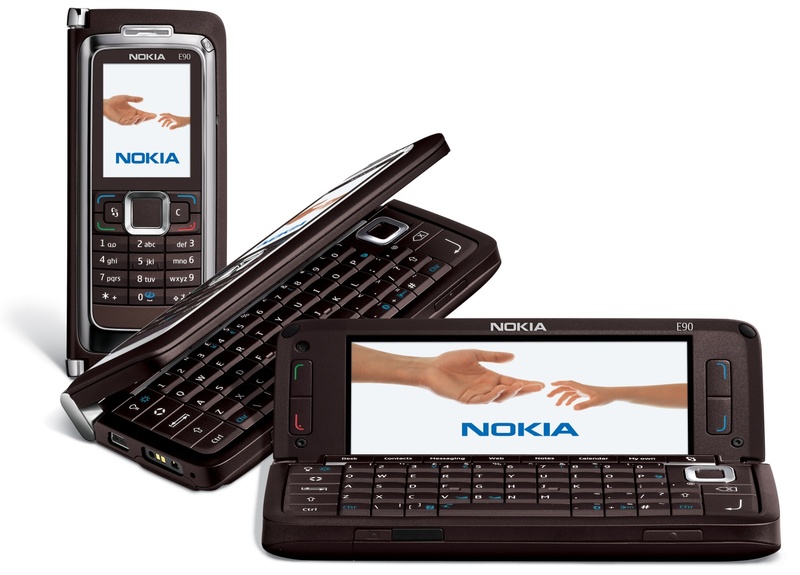 Nokia never made another Communicator device after this, although the Nokia E7-00 launched in 2010 did adopt the QWERTY keyboard of the Communicator series of devices. Today typical prices for an unlocked E90 in good condition range from between €100 and €200 or so. Although the E90 is of limited use in the modern age, it is certainly an antidote to the endless parade of slabby touchscreen devices that we see today.